With the help of our innovative methods, we validate all the information in the database is accurate. Verification of existing data helps effectively manage a campaign and reduces resource wastage. We validate contact details to public directories to ensure confidence in marketing to customers and we also add value to the database through appending any missing details. With the help of the workflow software, iCustomer , we can filter and organise your data in real-time, based on any details in the data. These lists can also be categorised according to your specifications and relevance to variables you provide eg: specific suburb, target audience type etc. We can extract potentially useful information from large sets of data or databases in order to enhance the prospects of your designed campaign. This helps to identify customer propensity to purchase products, display behavioural characteristics and also help predict future behaviour. Lead generation is the methodology by which we understand the buying potential of the customer prior to any contact by a sales person. This is used to evaluate the customers need for your product or service. The objective is to generate qualified prospects for a sales agent to pursue. Lead generation reduces valuable time spent by salespeople ringing unqualified leads. As a bonus this keeps sales people happy - they can work with a steady stream of qualified leads. Their time is spent doing what they enjoy doing - selling. The objective is to identify the needs of the customer and set up a convenient time to discuss the specifics of the product. A qualified appointment saves a sales agent time, reduces the cost of sale and increases productivity. We can generate a pre approved sale or pledge and pass the information to the client or the fulfillment house. You have the option of tasking Marketcom to look after the entire sales operation, secure in the fact everything we do is transparent and trackable. 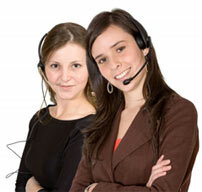 We offer a variety of services in terms of outbound telephony. 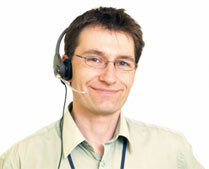 We own and manage our own call centre and have the capability of managing your in-house facilities as well. We have several different methodologies to get the most of your sales and marketing dollar. Get in touch with us to find out more about how you can use the outbound approach. Inbound telephony plays an important part in any successful integrated marketing and communications program. Inbound telephony gives a customer the opportunity to approach your organisation on their own terms. When used the right way, it is an excellent opportunity to gauge the current needs of the customer, provide efficient customer service and even cross-sell and up-sell products. The power of interpersonal communication can never be underestimated. It has proved to be the most efficient way to build a relationship with a customer and ensure that they are satisfied with the decision that they make. A face to face sale has a much higher impact in terms of customer retention. Marketcom can help by making the appointments for your own sales team to meet prospects or have our experienced sales executives meet with them. In this day and age the lines of communication are flooded with various devices and it is important to understand which one of these are used most by your customers. At Marketcom, we understand that different people prefer different methods of receiving information. Using our expertise in consumer analysis, we integrate the use of direct mail, SMS, e-mail and faxes in our sales and marketing plan. iCustomer is an award winning web-based workflow software that increases transparency between client and contact centre, reduces staff training time and eliminates unnecessary paperwork. With the help of iCustomer we provide an in-depth reporting system that records all the outcomes that are generated during a campaign. This provides you with a window into every activity that takes place in your campaign. Having a flat management structure, we do not believe in team leaders. What we have instead is a qualified and experienced team of coaches who work with the staff right from the day the campaign begins until all the objectives are achieved. Constant training and feedback to the staff are an important part of Marketcom's campaign process. Briefing on the most relevant reporting methodology highlighting specifics of your campaign. Detailed documents stating the campaign design and specifics for your approval prior to implementation. Follow-up meetings to refine business case or proposal documents. Use of a state of the art web based workflow software, iCustomer, that minimises paperwork and increases transparency of procedure. Hands on directors with more than 20 years experience with communication programs. Intensive staff training programs to ensure maximum customer satisfaction.